The Home Ranch: Offered for sale for the first time since it's inception. The setting that is home to The Home Ranch can be summed up by one word: magical. Situated on a level plateau slightly above the river valley floor, the ranch is tremendously picturesque and private. Wide open meadows lead up to rolling, tree covered mountain sides that frame direct views of the sawtooth range of the Zirkel Mountains. Approximately one mile of the free flowing and crystal clear Elk River stretches along the northern end of the ranch. The entire eastern boundary is shared with the Routt/Medicine Bow National Forest. The National Forest contains a portion of the Continental Divide National Scenic Trail and encompasses over a million acres just out the ranch's back gate. Several rustically posh cabins and boutique lodge rooms house guests for a week at a time. The experience is a well-designed balance of outdoor adventure, superb cuisine, and western lifestyle in one of the most scenic and photographed locations in Colorado. Paved roads to the ranch and easy access to the local and regional airports provide an easy transition from the transportation hubs around the globe to the comfort of The Home Ranch. 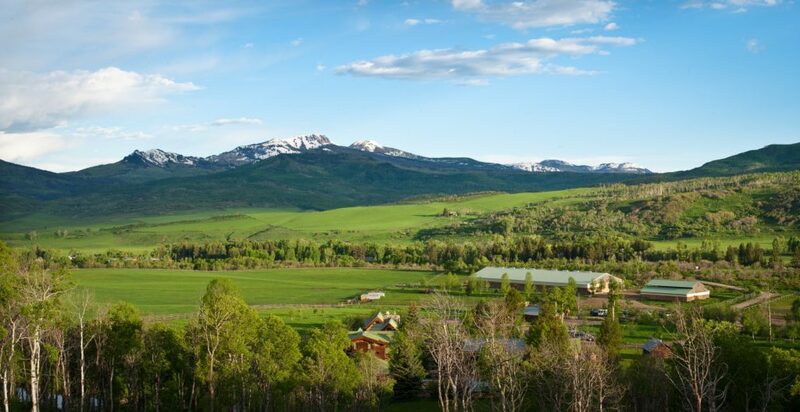 The Home Ranch is 17 miles north of the renowned resort town of Steamboat Springs, Colorado. The ranch is located in Clark, a quaint community with a post office/deli/store, pre-school, K-8 charter school, fire station and a restaurant. 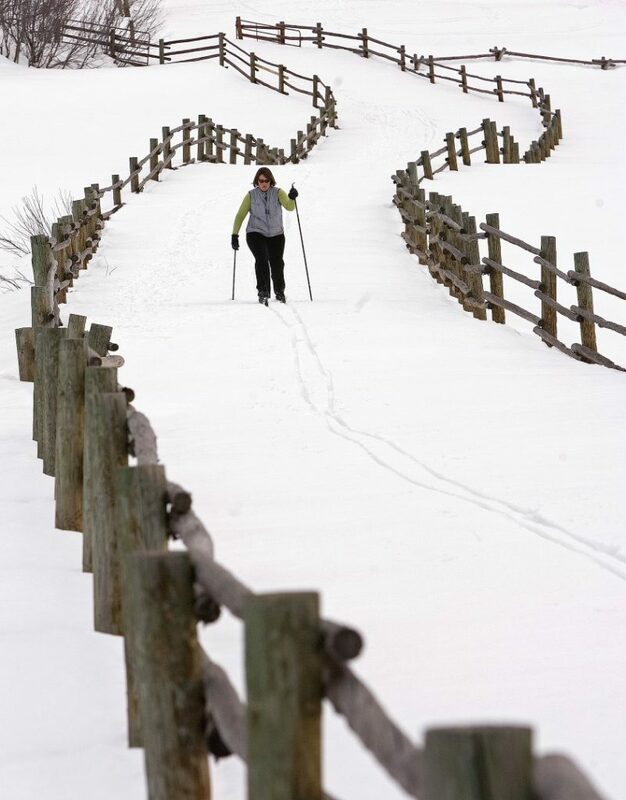 It is easily accessed via year-round county roads. Routt County Road 129 travels through open meadows north of town; it winds its way through several conservation ranches with open, protected and working landscapes. 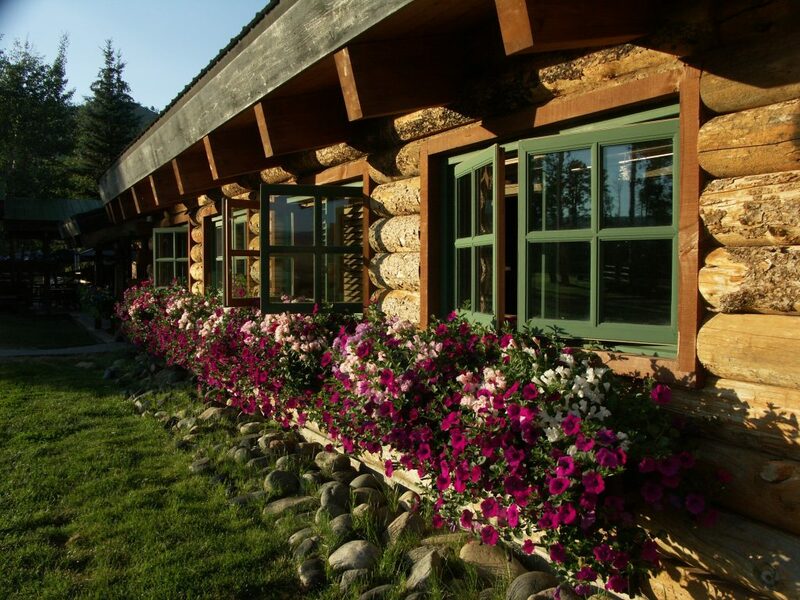 The main ranch entrance, understated but elegant, follows a wide gravel road up a slight incline that reveals a stunning scene: a pastoral meadow surrounding The Home Ranch lodge and cabins with a dramatic, snow covered mountain range as the backdrop. The Home Ranch and surrounding land consist of approximately 550 acres. 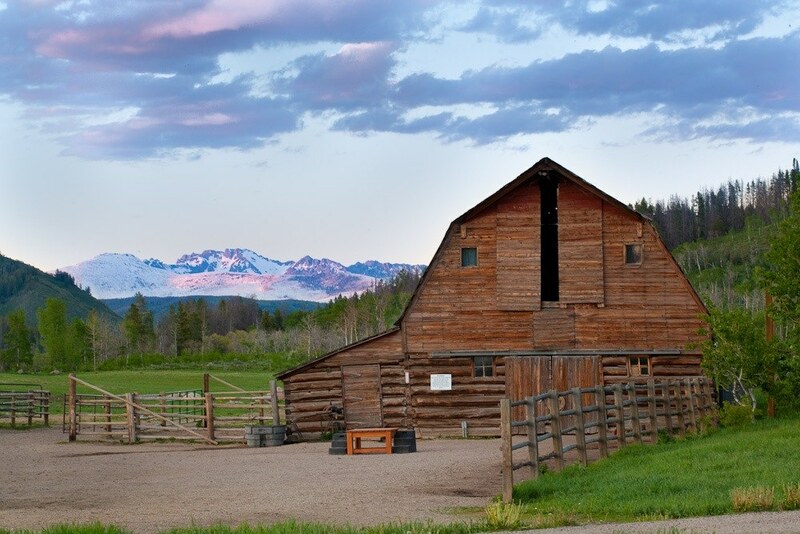 The guest ranch improvements are situated on a 40 acre parcel and are surrounded by the balance of the acreage. A newly remodeled manager’s home is on the western edge of the 510+/- acres, within sight of but comfortably removed from, the main ranch compound. The Elk River corridor, near the northern end of the ranch, is a cold, free flowing river that relieves a vast basin of its blanket of winter snow. The land is generally two large, level plateaus that rise slightly above the county road. The higher plateau is open, grassy pasture land fringed by lush aspen groves rising to the boundary along the National Forest. The lower meadow is a large, irrigated meadow of native grasses that provides the striking setting for the ranch improvements. The majority of the land in the area is federally owned and much of the private land along the river corridor between Clark and Steamboat has been placed into conservation. The limited supply of develop-able land coupled with the natural beauty of the area presents a strong opportunity for conservation on The Home Ranch. Improvements on the ranch are warm and elegant. The 6,800 sq. ft. lodge has a large dining room where delectable meals are served family style. In the summer months the dining area extends on to the deck that overlooks the pond and brilliant green meadows. A large commercial kitchen, front desk, and administrative offices are housed in the lodge as are two cozy dens that urge guests to read a book by the fire, listen to one of the resident musicians strum the guitar or enjoy a conversation with a familiar returning guest and friend. The lodge also has 6 well-appointed suites, each with a different view of the idyllic mountain landscape on the other side of the window pane. The eight cabins offer a variety of layouts; all are inviting and stylish and all have a private hot tub on the covered deck. The cabins range in size from 350 sq. ft. to over 2,000 sq. ft. 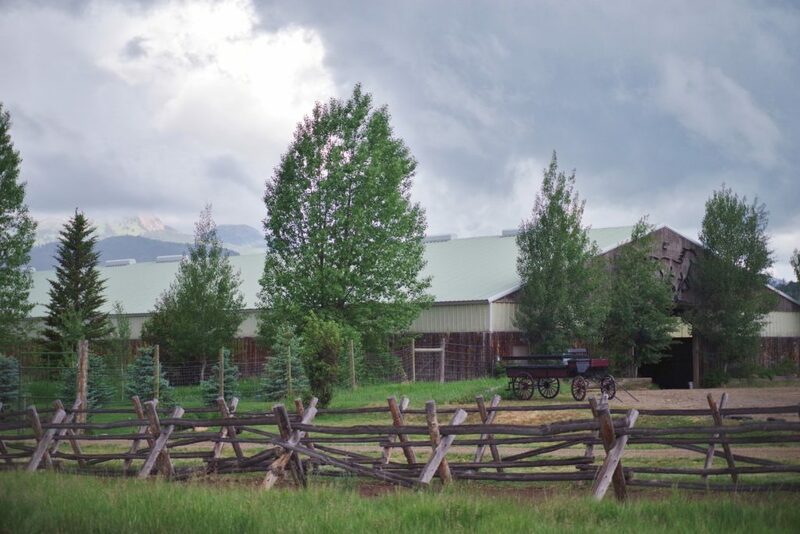 The historic barn, moved across the meadow to its present location by the owners when they purchased the ranch nearly 40 years ago, has seen thousands of guests hone their horsemanship skills by day and polish their dancing skills by night. 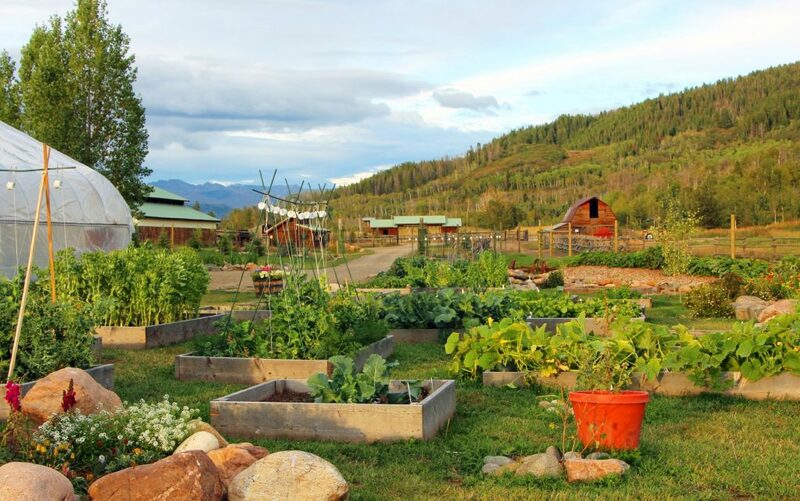 The ranch also has an indoor riding arena, a large commercial greenhouse that grows many of the ingredients used in the cuisine, a chicken coop for a year round supply of farm-fresh eggs, and several small use-specific buildings like a ski hut and bike shop. A large patio and outdoor swimming pool lead to a spacious rec room that converts easily from a kid’s activity center to a conference room or yoga studio. A remodeled 1,900 sq. ft. manager home is located just off of the paved county road and across the street from the Clark Store, fire station, K-8 school and preschool. The water source is a series of high mountain springs located near the eastern boundary of the ranch. The majority of the ranch is perimeter fenced and cross fenced. With over a mile of boundary along the National Forest, recreation both on and off of the ranch can be fun and spontaneous. For off ranch activities, federal recreational permits are part of the guest ranch business. The mile of Elk River flowing through the ranch is clear and pristine. It’s richly oxygenated waters support healthy trout that thrive in the unspoiled environment. The permits allow the ranch to be the exclusive commercial operator on the adjoining portion of the National Forest. Hiking through the white bark aspen trees that contrast with the emerald green ferns on the forest floor is a visual rush. Biking along the single-track trails with varying degrees of terrain challenges and rewards riders. Horseback riding through the wide open meadows is exhilarating; the rhythm of the horse and rider, the smell of the pine trees, the sound of rushing water and the views of the surrounding peaks can only be enhanced with a gourmet Home Ranch lunch! Winter skiing and snowshoeing in the deep powder snow is quiet except for the occasional jay bird flying from tree to tree in an otherwise perfectly still forest. Elk, deer, bear, and moose are attracted to the relative safety of the ranch, its waters, its forests and its meadows. Founded by Ann and Steve Stranahan 40 years ago, the ranch land was everything they needed for their new venture: 550 acres in one of the last pristine ranching valleys in the American West, easy access by air or automobile and thousands of acres of uninterrupted wilderness out the back gate. They built the lodge and welcomed their first guests over Christmas, 1979. 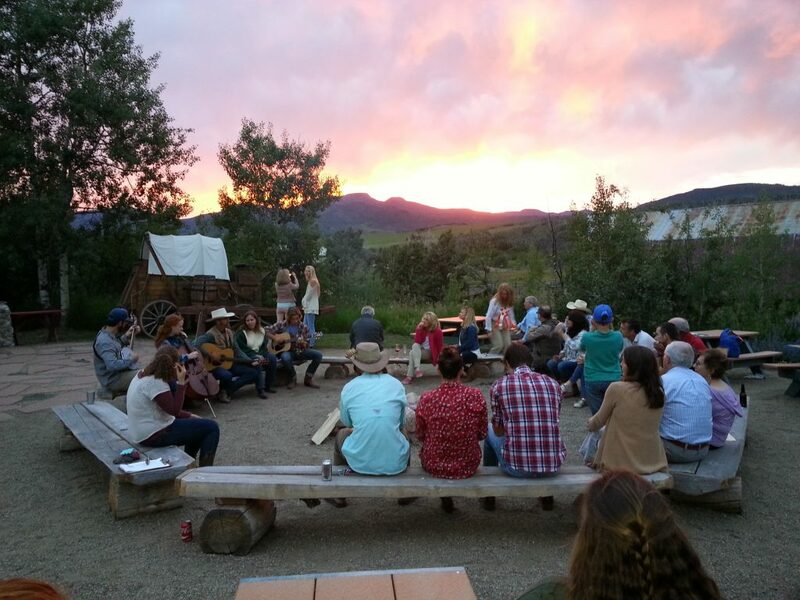 Since then the ranch has been featured in numerous articles and has hosted people from all over the world. The quality of the ranch experience and the superb cuisine garnered the attention of the Relais & Châteaux hotel association and The Home Ranch has been a proud member since 1986. The ranch is open to guests during the summer and winter seasons and is an operating horse, cattle and hay ranch year-round. Limited opportunity for upstream impact protects the water and the habitat; the quality of the water on The Home Ranch is exceptional. In addition to the free-flowing alpine river that flows through the ranch, guests can practice their fly fishing techniques on the pond near the lodge. Fed by one of the ditches originating upstream of the property, the pond is loaded with trout. Irrigation water keeps the pond full of fresh water and also keeps the meadows lush and green. 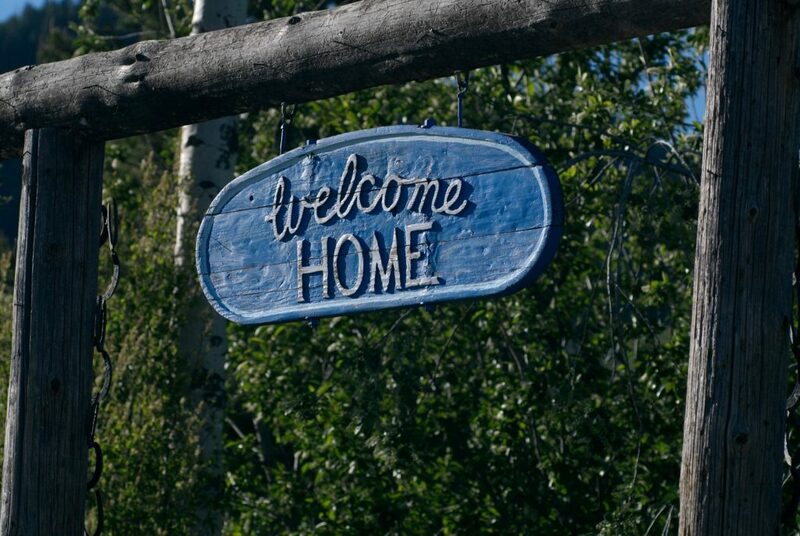 Clark is a picturesque little community nestled in the Elk River Valley north of Steamboat Springs. It is home to a LEED gold K-8 charter school with a waiting list, a preschool with a 1 to 7 ratio, and a fire station housing an ambulance, a structural engine, water tender, brush truck and a squad truck. Clark also has a post office with a convenience store, a deli serving locally sourced food made-from-scratch, and a small but well-stocked liquor store. Clark is a melting pot of full time and part time locals and visitors who appreciate the laid back and unpretentious vibe. Steamboat Springs, 17 miles south of The Home Ranch, is located in northwest Colorado, approximately 160 miles northwest of Denver. Known for its friendly, western hospitality, the area has preserved its deep agricultural roots while a world-renowned ski area emerged and prospered. The Steamboat Ski Area was acquired by KSL Capital Partners and Henry Crown and Company (parent company of Aspen Ski Co.) in 2017. This area of the state is served by a busy regional airport located 20 miles west of Steamboat. The Yampa Valley Regional Airport with daily flights to Denver International Airport is under an hour’s drive from The Home Ranch. During the summer and winter seasons, direct flights are available from major cities all over the country on United, American, Delta, Alaska, Via and Jet Blue airlines. Steamboat Springs, with a population of about 12,000, is a resort community that features amenities and attractions only found in larger towns. The UC Health/Yampa Valley Medical Center is an award-winning, full service acute care hospital. The Bud Werner Memorial Library, constructed following an $11,000,000 voter-approved tax, is a 28,000 s.f. state of the art facility. Colorado Mountain College, a long-established community college, continues to experience growth and success and offers several 4-year degree programs. This area of the county is known for beautiful, protected landscapes, welcoming residents, and great year round outdoor recreation. Never before offered for sale, The Home Ranch is an opportunity to entertain and host guests in an intimate setting surrounded by some of the most spectacular scenery nature has to offer. Known around the world for genuine hospitality and award-winning cuisine, the ranch can accommodate up to 45 guests. The well-appointed cabins are spread among the aspen trees and within walking distance (but not too close) of the Lodge that overlooks the pond and meadows. One mile of private Elk River frontage, a long border with the National Forest and endless views lend themselves well to the activities prized by the guests, owners and staff. The federal and county permits that accompany the ranch operation are exceedingly difficult, if not impossible, to obtain in today’s regulatory climate. The Home Ranch reputation for excellence, the prestigious Relais & Châteaux designation, the stunning mountain meadow setting and the irreplaceable entitlements lay a strong foundation to see the ranch through the next generation of ownership.